Weapons in Space examines how the United States is forcing forward—in violation of international treaties—to militarize space. Based on excerpts from U.S. government documents, award-winning investigative journalist Karl Grossman outlines the U.S. military's space doctrine, its similarity with the original Stars Wars scheme of Ronald Reagan and Edward Teller, and the space-based lasers, hypervelocity guns, and particle beams it plans to deploy in its mission to "dominate" earth. 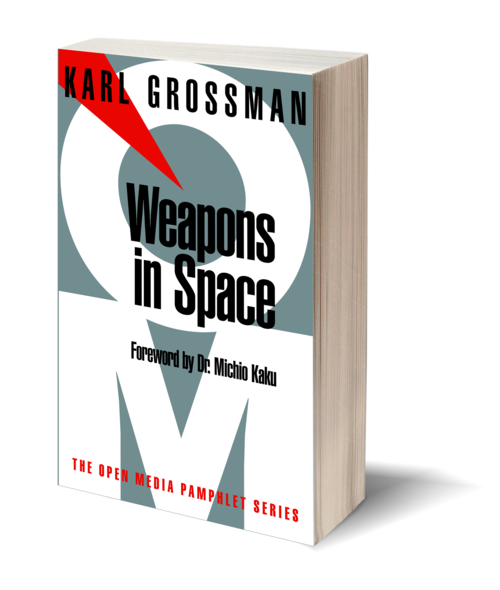 Grossman shows the intimate link between the militarization and the nuclearization of space, and follows the flow of billions of U.S. tax dollars to the corporations that research and develop weapons for space. His book explains the Outer Space Treaty and gives a history of the Global Network Against Weapons and Nuclear Power in Space: what it is doing, what it plans to do—and what the reader can do to challenge U.S. plans to turn the heavens into a war zone. Karl Grossman has specialized in investigative reporting for more than forty years. Honors he has received include the George Polk, the James Aronson, and the John Peter Zenger Awards. 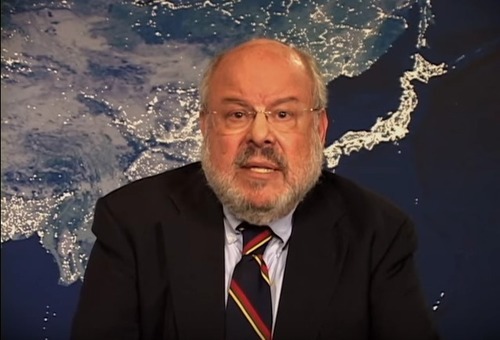 He is the author of many books of reportage, including The Wrong Stuff: The Space Program’s Nuclear Threat to Our Planet and Cover Up: What You Are Not Supposed to Know About Nuclear Power. Grossman is a professor of journalism at the State University of New York, Old Westbury, where he teaches investigative reporting. He lives in Sag Harbor, New York.